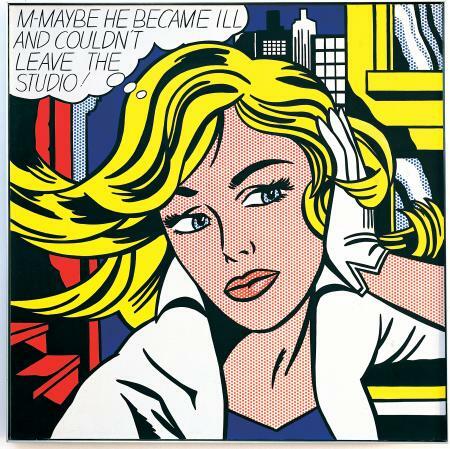 Roy Lichtenstein was a prominent American pop artist. During the 1960s, his paintings were exhibited at the Leo Castelli Gallery in New York City and, along with Andy Warhol, Jasper Johns, James Rosenquist, and others he became a leading figure in the new art movement. His work defined the basic premise of pop art better than any other through parody. I was inspired to wear this shirt with my white pants from Folded and Hung and with my plaid button down from Emporio Armani. I wanted to look like a painter but turned out to look like a traveler! Hahahahaha! 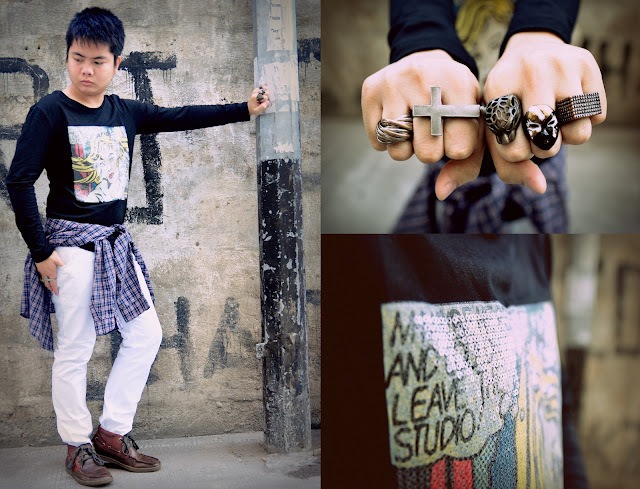 To add more details, I decided to wear all my "artistic rings" to match for my outfit. and the block ring from SM Department Store. This is the exact design of my shirt! Totally cool! So happy that I found it on Google! Hope you guys learned something about my post! Btw, don't forget to hype this look.